Suffolk Open Studios, garden chairs and whirligigs. It was a really interesting weekend and a good chance to make contact with local people and groups. There was alot of interest in my large scale, sculptural willow fences and it would be great to be commissioned to make one in Suffolk. I was also given some great wood for woodturning, thanks Ray. So my first Open Studios was definitely worth doing and I am looking forward to opening longer next year. 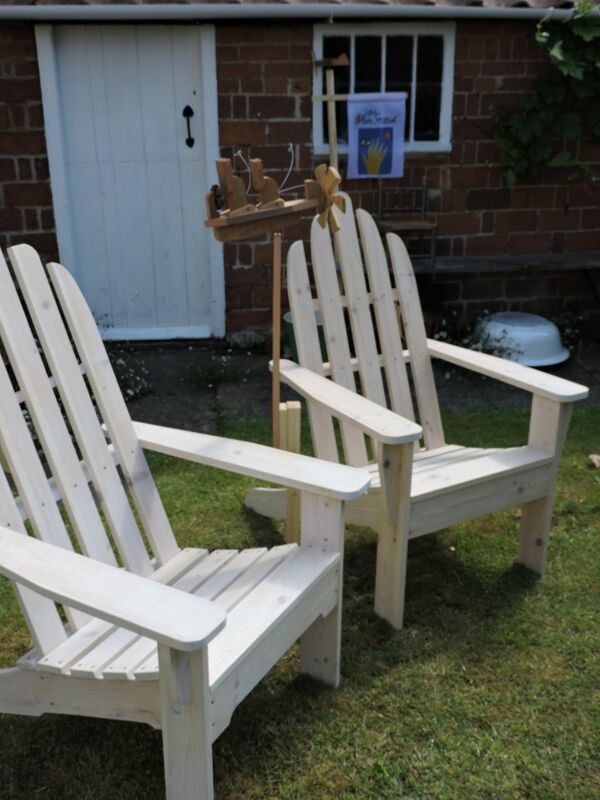 Previous PostAdirondack chairs, ideal for lounging in the garden, if the weather ever gets any better.Next PostMaking a clay pizza oven at Parkgate Farm.